Over a year and a half after the IDF raid on the Gaza-bound flotilla, the Defense Ministry has yet to conclusively recognize the three naval commandos who were injured in the operation as disabled veterans. It was recently reported that the ministry's rehabilitation wing granted the Shayetet 13 commandos a disability status, but it later became clear that the decision was only preliminarily. The soldiers, who sustained moderate and serious injures, are now burdened with producing additional evidence that would finally grant them disabled veterans' benefits. The commandos have been driven to hire private attorneys to deal with the law suit they filed against the Defense Ministry, a source close to the proceedings told Ynet. According to the source, the soldiers were supposed to receive the disability status three or four months after the process began – especially with the photographs and video footage that documented the violent incident. "They are mortified that the Defense Ministry has required them to show proof of the damage that they have suffered," he said. "One of the toughest moments in a veteran's life is when he has to stand before the members of a medical committee to prove his disability." The May 2010 raid was meant to stop the Mavi Marmara vessel from breaking the blockade that Israel has imposed on the Gaza Strip. 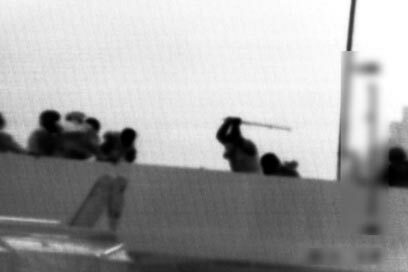 As commandos descended onto the ship they were attacked by the activists aboard. The troops returned fire, killing nine Turkish nationals. See all talkbacks "Soldiers hurt in flotilla raid yet to get benefits"